After a bruising few months for the restaurant scene, with Jamie’s Italian, Byron and Prezzo closing dozens of outlets, you might think that now was a bad time to think about opening a new foodie destination. But that is exactly what Roger Wade, founder of shipping container shopping centre Boxpark, is planning to do. 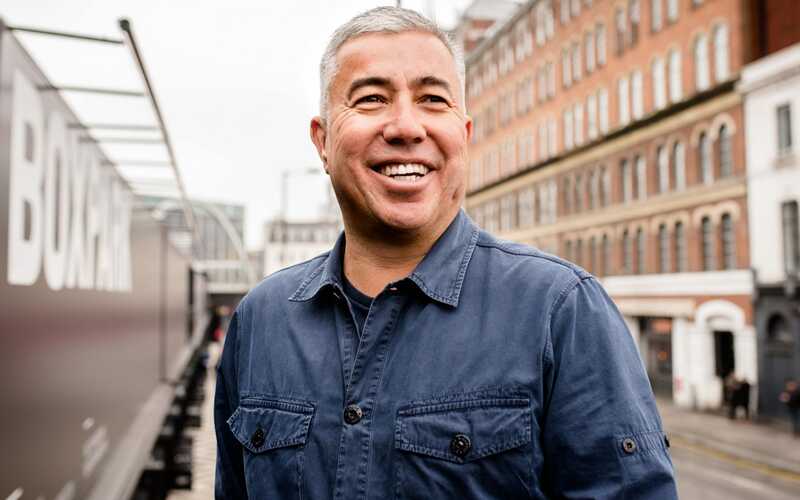 Wade, a half Irish-half Malaysian Londoner whose pristine trainers hint at his beginnings as a clothing entrepreneur, is evangelical about the idea that independent brands will thrive even in tough times. “If you don’t have a point of difference you’re not going to survive,” he says. Boxpark is about to open its third outlet, in Wembley, and as Wade strolls around the original in London’s Shoreditch he points out the most successful outlets: a vegan restaurant, two guys making chicken burgers, and a new events space that Boxpark can lease out for private parties. Before Boxpark, Wade had been known for founding clothing brand Boxfresh, which he sold to Pentland, the owners of JD Sports, in 2005. After that, he was looking for his next big idea when he landed upon retailers launching pop-up exhibitions or brand launches in shipping containers. “I went to the people at Pentland and said ‘I’ve got this idea for shipping containers, to create stores in these really cheap locations’, and they said ‘you’re crazy’,” he explains. Undeterred, Wade used his own money to assemble 60 recycled shipping containers on a plot of land on the edge of the City and leased each box to a small brand or restaurant. The project was launched at the end of 2011 to coincide with the Olympic Games and by all accounts it was a success, although not in the way Wade might have expected. Rather than the retailers on the ground floor proving popular, it was the restaurants above that really drew the crowds. “When the Olympics finished, a lot of the original tenants moved on, and actually it was the bit that we didn’t plan to do really well that did well – the food and drink bit upstairs,” he explains. The second Boxpark in Croydon continued this trend, focusing solely on food and drink. In Wembley, the model will be slightly different. Instead of a series of small restaurants, Boxpark will lease enough space to companies for just the kitchens themselves, while it will run the seating areas, everything from the chairs and tables to the napkins, centrally. 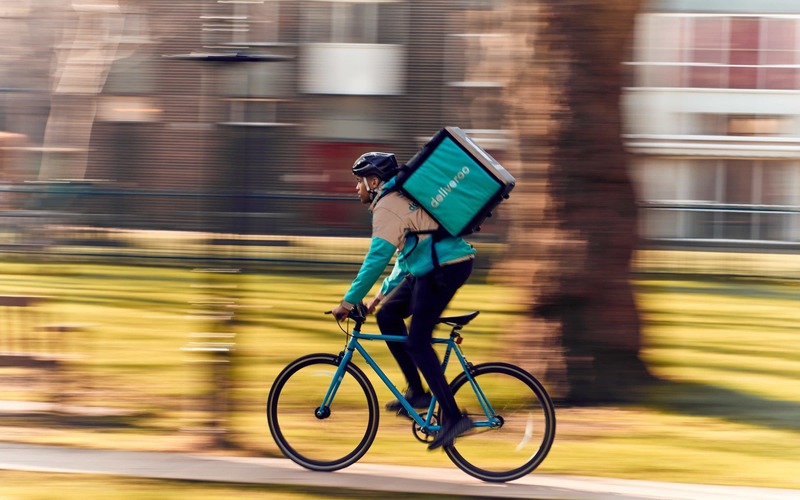 As well as serving visitors to the site itself, the kitchens will fulfil orders for delivery companies including Deliveroo, Just East and Uber Eats. This is the future, Wade says. “I think there’s a backlash away from taking on huge spaces with long leases – the customer doesn’t want that and nor do the businesses,” he says. Delivery drivers will have access to a waiting area with showers and changing rooms. “If they can actually enjoy waiting with us, our customers are going to get a better experience, quicker delivery,” Wade says. “I see a big move towards delivery – don’t fight it, just go with it!” he says, animatedly, condemning companies that refuse to move with the times. What Wembley obviously benefits from is a regular stream of passing trade – fans travelling to and from the stadium. There are events on 150 days of the year, and as a result, the new Boxpark will be completely enclosed in order to ensure that it can be used all-year round. Boxpark’s accounts for the year to April 2017, the last figures that are available, don’t include profit and loss figures. But what they do show is Boxpark owed around ?2.5m to creditors, more than the value of its net assets, and had ?1.3m in liabilities. The Croydon park lost ?500,000 in its first six months of trading. But Wade insists that the company never expected to make profit immediately. “We’re in this for the long term,” he says. But what could prevent Boxpark from going the same way as so many restaurants this year? Wade is scornful of the way that some brands have, in his view, overexpanded. “Really frankly, I think that there’s been an explosion of venture capitalists that have invested in businesses and one of the root causes [of the trouble in the casual dining sector] has been the requirement of the venture capitalists to grow that business from day one, to go from a two store chain to a 50 store chain,” he says, with increasing annoyance. 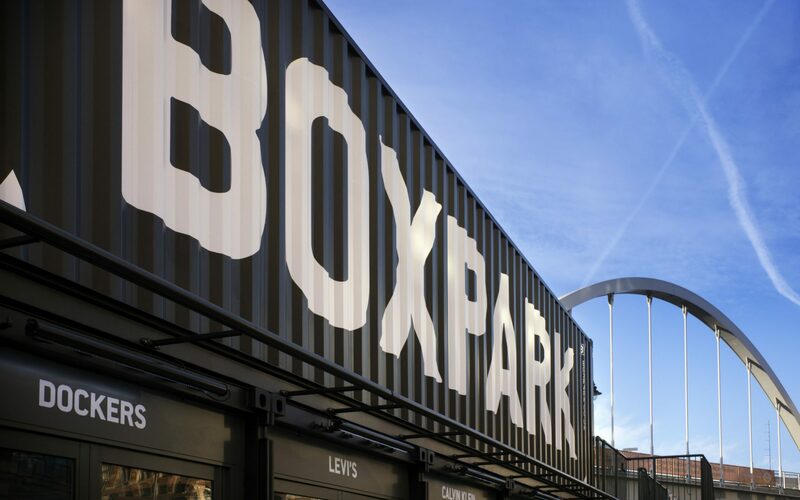 In the financial year ending April 2018, Boxpark is expected to make sales of around twice what it made in the previous year, showing that the venture is at least moving in the right direction. Wade dismisses the idea that the parks are little more than a passing fad, buoyed by young people with disposable incomes but without a long-term future. Boxpark is doing something radical, he claims, and is expanding at a sustainable rate. Wade has plans to grow the business to 12 sites by 2023: another one in London and eight in regional cities. He wants to target international markets too, but through a licence arrangement, allowing people who know local markets to take the project on. “And then I’ll go off into the sunset. That’s enough – I’m knackered,” he says, laughing. If Boxpark is to continue drawing people through the doors it is going to need to stay one step ahead of the competition. So what’s the next big thing? “You have to be cautious about going after the next big thing,” Wade says. “Two years ago we were hearing it was going to be all about burgers and now we have loads of burger companies going bust.